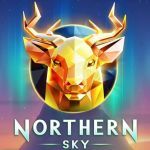 As the end of the year comes closer and closer we review Casino Streamers Big Wins – Week 49. 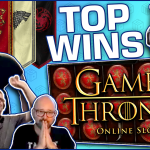 Interestingly enough every casino streamer, last week, got his big win on a different video slot. Therefore we have for you today seven epic hits on seven amazing slot games. Moreover, all the big wins come from the 4th to the 10th of December 2017. As always, we have the compilation video, along with the full uncut version of every single win. 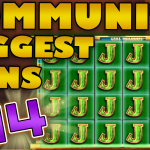 Moreover a small review for each particular big slot win and the reaction of the casino streamers. Finally, if you want to try any of these slot machines, you can play them, for real money, on any online casino on our trusted casino list. 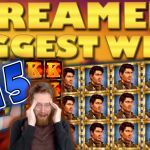 Let’s start Casino Streamers Biggest Wins – Week 49 with a stunning hit from David Labowsky. The slot streamer was playing the Book of Dead game on Highroller casino when he triggered the bonus. However the bonus itself is not the story here, the trigger is. Specifically a full line of the best symbol, including 4 scatter/wilds, during a €3 bet. Immediately after a great bonus round with the “A” as the special expanding symbols followed, but it was the trigger that mostly contributed to the large €1669 total win. Get paid again for our favorite Dutchman. A record win from Huggehugg, last week, on the Golden Fish Tank slot. The casino streamer got the bonus during a SEK 17.50 bet at Bob Casino. As most of you know, picking the best features can increase the potential of the bonus massively. That is exactly what Hugge and his viewers did. Thus, thanks to their awesome picks the bonus was extraordinary, full of wild screens and a mega SEK 9483 at the end. The lesson here is that you always relay on your viewers for picks, and you will always come out on top. By now we all know that if you put BlackCatSeven and Dead or Alive in the same sentence, there result is always big win. The casino streamer did not disappoint this time as well, while playing the NetEnt video slot at Rizk. 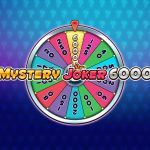 Granted, we did not see a wild line on the free spins feature. However the numerous sticky wilds turned a SEK 18 bet into a SEK 16768 total win. Yup it’s jarttuslot again, on his usual insane bet sizes. The slot streamer was trying the Pharaoh's Tomb video slot, last week, at OVO casino. Here jarttuslot activated the free spins on a huge €15 bet. In addition, thanks to the many sarcophagus wild reels the final result was a colossal €5512 win. Finally, we can not wait to see more similar crazy wins from this Finish legend. The amount of luck NickSlots has on the Queen of Riches slot is unreal. After last week’s mega win, the streamer does it again. Indeed this casino game has the highest potential from all online slots, and watching Nick you understand why. This time the casino streamer got an immense win during a £5 bet at Casumo. Funny enough, you don’t even need to hit high value symbol on Queen of Riches, as Nick’s epic £1822 win was just from “Jacks” and a wild reel at the end. Let's see if the Brit will be able to keep up this amazing run. - We certainly hope so. Well guess I’m back on the spotlight again. It is not really comfortable to talk about yourself but I could not leave out that amazing win on the Indian Spirit slot machine. It was an out of nowhere bonus round on a €1.6 bet. Moreover the stacked wilds combined with the stacked premium symbol can make for some really massive hits. Lucky for me I got one of them, and that made for a big €671 total win. Lastly, if you want to try this casino slot, you will find it at Quasar casino along with most other Novomatic titles. 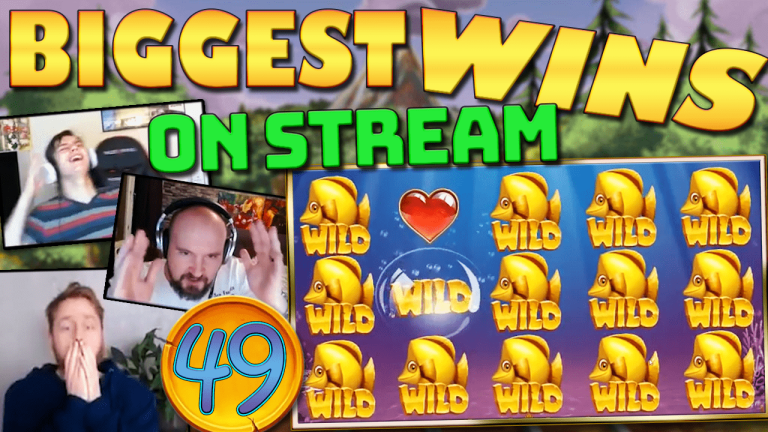 Let us conclude Casino Streamers Biggest Wins – Week 49 with Shirox1980 and his epic win on the Hugo 2 slot. The casino streamer was playing €3.5 bets when he got the bonus feature. Hence Hugo started his adventures winning money on every step for an epic total of €1974 at the end. Finally most Play’N Go powered online casinos have this slot, and that includes Dunder casino. Stay up to date with the latest casino news.